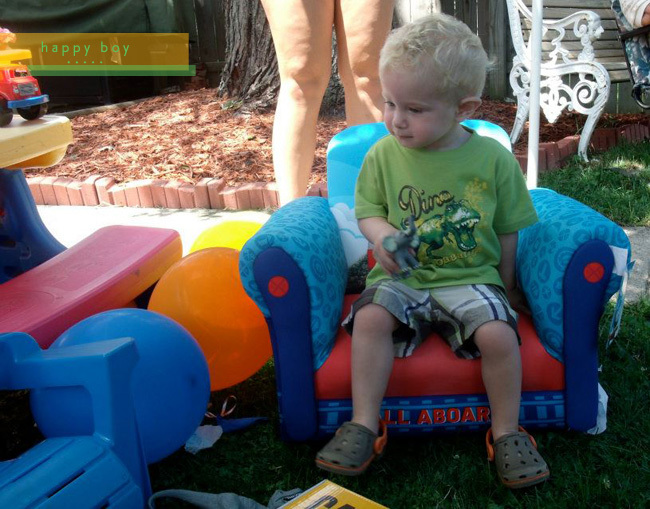 this past weekend was my nephew Carter's 2nd birthday. Carter is in love with a few things including Thomas the Train, Elmo, anything with wheels, and... DINOSAURS. 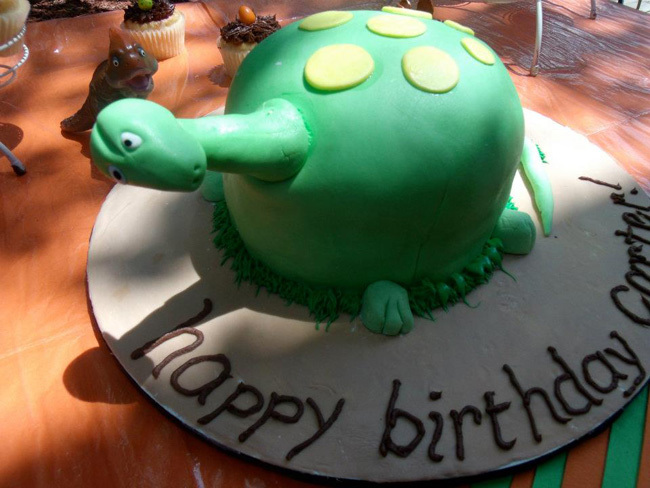 last year he had a Thomas theme so this year my sister went with dinosaurs and I think it came out really cute. one tip when you're planning a birthday party and using a kids toys for decor... they WILL take them to play with them. 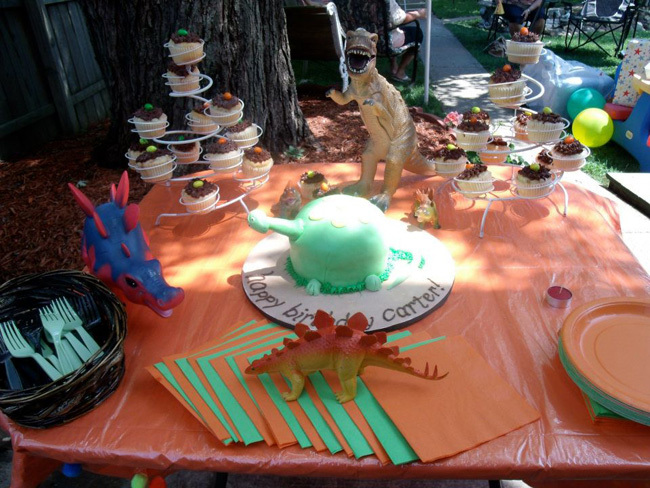 the cake was made by a former neighbor inspired by one we saw on pinterest. 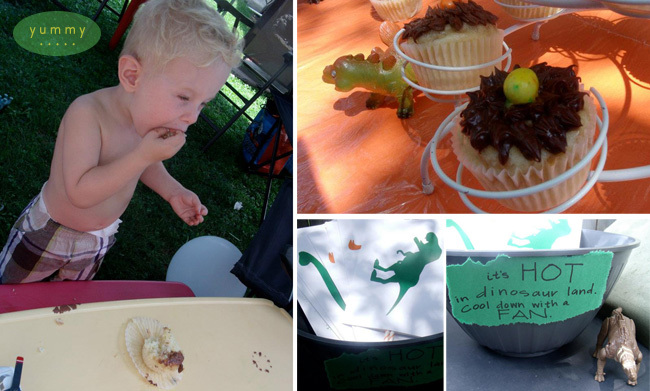 we made and decorated the dinosaur nest cupcakes, the pom pom garlands, and flag banner. the dino claws were Bugles and the dino nest was filled with candy coated almonds. we also had party favors that i didn't get a photo of that included dinosaur tattoos, a mini bag of claws, dinosaur paddle balls and a few mini dinosaurs. we added the zigzag strip to the back of the party hats so the kids could be dinosaurs and made paper fans with dino silhouettes printed on them for the adults.